Inconveniently situated between Uxbridge Road and Goldhawk Road, Shepherd's Bush station was closed to allow two new stations to be built, each serving the two main roads. The southernmost one was eponymously named Goldhawk Road, the northernmost retained the Shepherd's Bush name. 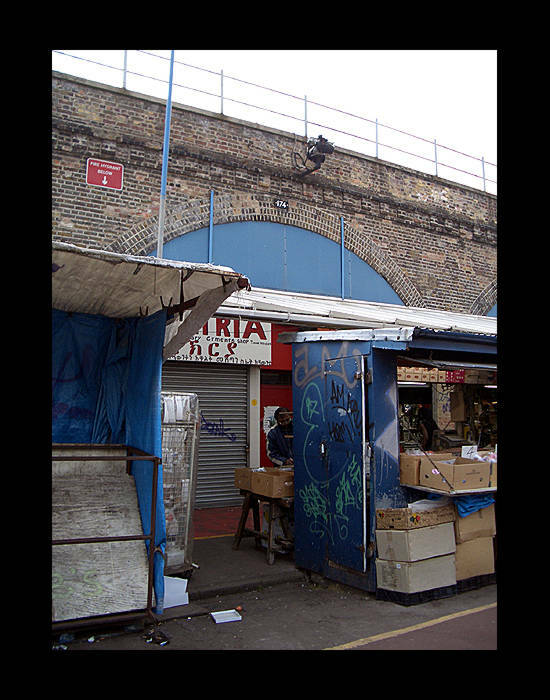 The location of the station entrance in what is now Shepherd's Bush Market. The station building, platforms and access between the two had all been removed by 1915. View from the southern end of the new Shepherd's Bush station. Arrowed is Goldhawk Road station, the other replacement station. 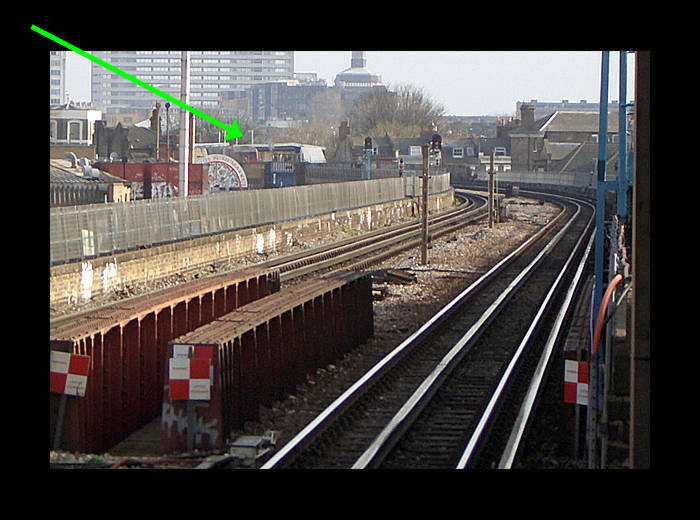 The distance between these two newer stations is hardly great - the original Shepherd's Bush station was inbetween the two stations on the stretch of track shown here.